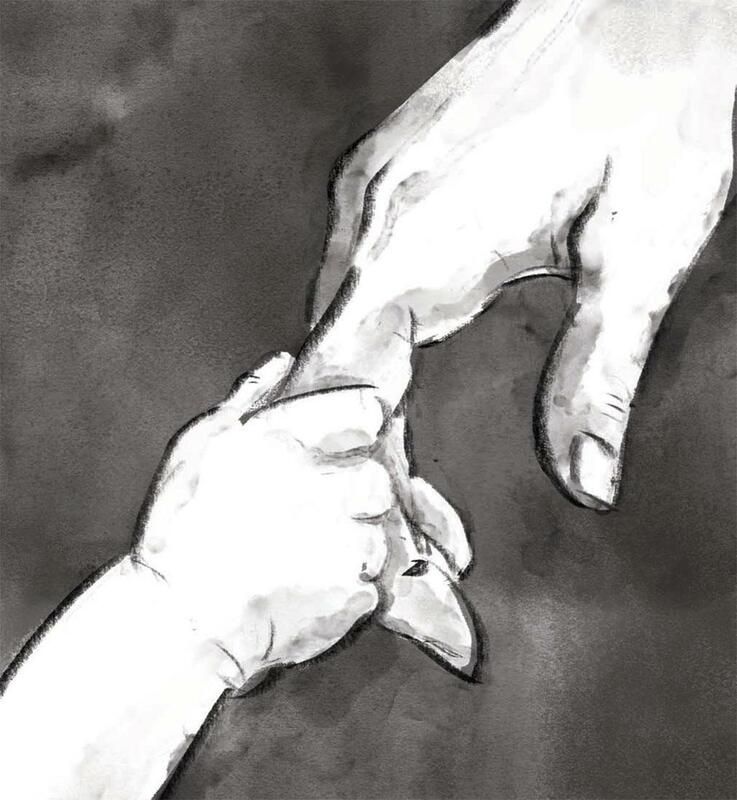 Does birth come with the guarantee of survival? The answer is a big “No” in India—home to the highest number of maternal and child deaths in the world. Between 2008 and 2015, as many as 11.3 million children in the country breathed their last before they could celebrate their fifth birthday; over 55 per cent of them died before they could complete even 28 days of their life, shows the latest report of the Sample Registration System (SRS) of India which offers statistics related to the country’s demography. Worse, only four States—Uttar Pradesh, Bihar, Madhya Pradesh and Rajasthan— accounted for 56 per cent of the total newborn or neonatal deaths. During the seven years, Uttar Pradesh recorded the highest 1.68 million neonatal deaths, while 0.65 million newborns died in Bihar, 0.62 million in Madhya Pradesh, 0.51 million in Rajasthan, 0.33 million in Andhra Pradesh and 0.29 million in Gujarat, notes the SRS Statistical Report 2015. The report also indicates a decline in neonatal mortality over the years. For instance, in Madhya Pradesh, neonatal deaths reduced from 93,700 in 2008 to 64,500 in 2015. In Uttar Pradesh, the numbers came down from 252,000 to 172,000 during the period. But the tardy pace at which neonatal mortality is declining only highlights that casual attitude of the governments towards maternal and child health. Why are so many children dying in India? It goes without saying that a child’s life is fraught with maximum risks in the first month of life. An article, “Review: State of Newborn Health in India”, published in the December 2016 issue of the Journal of Perinatology, says the risk of death in the first 28 days after birth, or neonatal mortality, is 30 times that of under-five mortality. Systemic studies at the global, regional and national levels identify four key factors for such a high rate of neonatal mortality—complications due to preterm birth (43.7 per cent), obstructed and complicated deliveries (19.2 per cent), infections including pneumonia, sepsis and diarrhoea (20.8 per cent) and congenital deformities (8.1 per cent). The SRS report also identifies similar reasons for high neonatal, infant and child deaths: 35.9 per cent deaths occur due to preterm birth and low birth weight; 16.9 per cent due to pneumonia; 9.9 per cent due to birth asphyxia; 7.9 per cent due to other noncommunicable diseases; 6.7 per cent due to diarrhoea; 4.6 per cent due to congenital deformities; and 4.2 per cent due to infections. Anaemia is the major reason for excessive bleeding during delivery, which often leads to maternal death, shows the srs report. But these are only symptoms of the underlying problem. The fact is children are dying in high numbers because both the state and Union governments have failed to provide nutrition in the continuum of healthcare to both the mother and child to ensure a healthy first 1,000 days of life. These first 1,000 days—from the start of a woman’s pregnancy till her child turns two—lay the foundation for a healthy future. They provide a window of opportunity to reduce maternal and child mortality, while ensuring lifetime health and cognitive development. But a close look at the National Family Health Survey (4) (NFHS-4) data shows that more often than not this window of opportunity is missed due to sheer neglect, which can be due to the family’s ignorance on healthy and responsible parenting or inefficient delivery of public health and nutrition services. 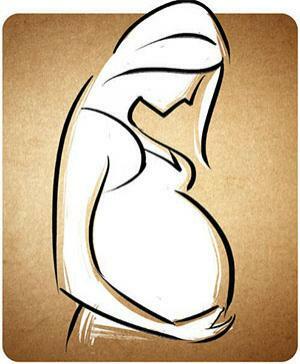 On an average, 7.9 per cent women in the country get pregnant while they are still in their teens, shows nfhs-4 data. The rate is as high as 18.8 per cent in Tripura, 18.3 per cent in West Bengal, 13.6 per cent in Assam, 12.2 per cent in Bihar, 12 per cent in Jharkhand, 11.8 per cent in Andhra Pradesh and 8.3 per cent in Maharashtra. Teenage pregnancy poses a higher risk to the life of both mother and foetus. Teens, who are yet to attain adequate physical, mental and emotional development, are at an increased risk of developing high blood pressure and anaemia during pregnancy. More often than not they deliver before term and their babies have low birth weight. In its attempt to prevent teenage pregnancy, the Government of India bars women under 19 at the time of pregnancy from accessing the benefits of Pradhan Mantri Matrutva Vandana Yojana (PMMVY). The scheme, implemented in accordance with the National Food Security Act, 2013, assures Rs 6,000 to pregnant and lactating mothers to ensure rest and nutrition, and provide partial compensation to working women against their wage loss. But such an approach only reflects the parochial attitude of the government. The Rapid Survey On Children (RSOC) 2013-14 by the Ministry of Women and Child Development shows that 26.8 per cent women in the country get married before the age of 18. Their proportion is as high as 40.7 per cent in West Bengal, 39.1 per cent in Bihar, 35.4 per cent in Rajasthan, 32.7 per cent in Andhra Pradesh, 32.6 per cent in Assam, 32.2 per cent in Tripura and 30 per cent in Madhya Pradesh. The government instead of efficiently implementing the Prohibition of Child Marriage Act to curb the practice seems to be using pmmvy as a deterrent. Every year, at least 25.8 million women in the country are registered as pregnant. 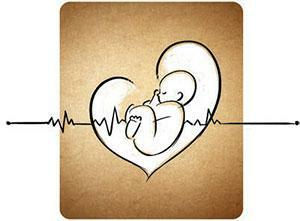 The healthcare protocol ensures them four antenatal care (ANC) for a healthy pregnancy. But the fact is only 51.2 per cent of them receive all the four ANCs. The figures are appalling in some states. For instance, in Bihar only 14.4 per cent of the expectant mothers receive four ancs. The proportions of women availing the healthcare are 30.3 per cent in Jharkhand, 26.4 in Uttar Pradesh, 30.9 per cent in Uttarakhand, 35.7 per cent in Madhya Pradesh and 38.5 per cent in Rajasthan. The data also suggest that almost half of the expectant mothers in the country do not receive any or adequate health check-ups. ancs bring out pregnancy related complications, such as high blood pressure and anaemia. In the absence of ANCs, these complications often go undetected and thus unattended, resulting in preterm births (before 40 weeks) and other complications that can prove fatal to the child and the mother. Nutrition plays a crucial role in ensuring the health of a mother and child. But in a country where women do not have the right to decide about marriage or reproduction, certain riders in maternity benefit programmes are defeating the purpose. For instance, a new mother can benefit from PMMVY only if she has turned 19 or above during pregnancy; if she opts for institutional delivery; and only for the first live birth. A look into the analytics of Census 2011 shows that there are 17.6 per cent women with one living child, 28.1 per cent with two living children, 20.8 per cent with three living children and 33.5 per cent with four or more living children. A back-of-the envelope calculation shows that only 30.7 per cent women benefit from PMMVY. Worse, going by rsoc 2013-14 data, 45.7 per cent expectant mothers and 47.8 per cent lactating mothers receive supplementary nutrition. Lack of nutrition results in anaemia, which is a major cause of maternal and infant deaths. In India, 50.3 per cent of expectant mothers suffer from this condition, in which the blood does not have enough red blood cells to carry oxygen to tissues. The proportion is as high as 62.6 per cent for Jharkhand, 58.3 per cent for Bihar, 54.6 per cent for Madhya Pradesh, 53.6 per cent for West Bengal, 52.9 per cent for Andhra Pradesh and 51 per cent for Uttar Pradesh. While their condition can improve with the consumption of iron-folic acid tablets and India has a provision for supplying ifa tablets to the expectant under the Integrated Child Development Services (ICDS), only 30.3 per cent expectant mothers receive and consume the tablet, shows nfhs-4 data. In fact, states that witness the highest neonatal mortality are also the ones with lowest level of ifa consumption. For instance, the proportion of women consuming ifa tablets is only 9.7 per cent in Bihar, 12.9 per cent in Uttar Pradesh, 15.3 per cent in Jharkhand, 17.3 per cent in Rajasthan and 23.6 per cent in Madhya Pradesh. All these only perpetuate the malnutrition cycle and act as triggers for neonatal, infant and child deaths. Another factor that helps reduce child mortality while ensuring safe motherhood is that births take place in a hospital with the assistance of a skilled attendant. The rate of institutional delivery has doubled over the past decade—from 38.7 per cent at the time of NFHS-3 (2005-06) to 78.9 per cent during nfhs-4 (2015-16). Institutional delivery has also found acceptance in states that fare worse on the index of child and maternal health. In Bihar, institutional delivery has increased from 19.9 to 63.8 per cent; 64.7 to 94.7 per cent in Madhya Pradesh; 20.6 to 67.8 per cent in Uttar Pradesh and 29.6 to 84 per cent in Rajasthan. But no amount of government effort to promote institutional delivery can deliver at a time when the service delivery system is in shambles. Government hospitals across the country have only 1,292 obstetrics and gynaecologists available against the required posts of 5,510. Madhya Pradesh needs 334 obstetricians and gynaecologists, while only 79 are in position. In Maharashtra 119 of 360 positions are filled, in Uttar Pradesh 115 of 773 positions are filled, in Gujarat 51 of 322 positions are filled, in Jharkhand 39 of 188 positions are filled and in Rajasthan 87 of 571 are filled. This has an impact on people who are forced to approach private hospitals and avail the services at exorbitant prices. It’s a common knowledge that expenses involved in a caesarean- section delivery in a private clinic are 41 per cent more than a government hospital. It’s crucial that the newborn is fed mother’s milk within one hour of birth. It is referred to as “early initiation of breastfeeding” and ensures that the infant receives the first milk—the thick and yellowish colostrum—which is rich in protective factors. NFHS-4 informs that only 41.6 per cent newborns in the country receive the first milk within one hour of birth. It shows that almost 58 per cent of the infants born in the country remain deprived of the life-saving colostrum feed and are thus vulnerable to infections. The proportions are poor in some states. In Bihar, only 34.9 per cent newborns are fed colostrum. The figures are 34.5 per cent for Madhya Pradesh, 32.6 per cent for Gujarat, 30.7 per cent for Punjab, 29.1 per cent for Delhi, 28.4 per cent for Rajasthan and 25.2 per cent for Uttar Pradesh. Surprisingly, children who are fed the colostrum are abysmally low in number when compared with the women opting for institutional delivery. This suggests that the strategy of institutional delivery is not fully effective, and that the counselling and support for early initiation of breastfeeding is missing entirely. Had this been occurring, 58 per cent of newborns would have duly received the colostrum feed! Similar is the importance of exclusive breastfeeding during the first six months of life. The nutrition in mother’s milk provides immunity against infections. Every day we hear a dozen of messages spreading awareness about exclusive breastfeeding for six months. But the ground reality is only 54.9 per cent infants in the country are exclusively breastfed during those crucial months. The figures are 58.2 per cent for Rajasthan and Madhya Pradesh, 53.5 per cent for Bihar, 50.3 per cent for Haryana, 49.8 per cent for Delhi, 48.3 per cent for Tamil Nadu and 41.6 per cent for Uttar Pradesh. In the first week of August, Unicef and who released the Global Breastfeeding Scorecard 2017. 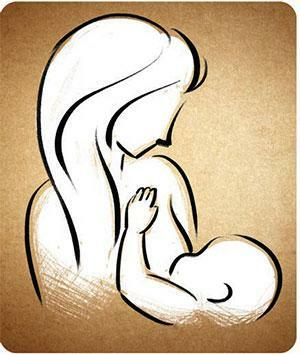 It shows that every year 100,000 children die in India due to want of breastfeed. The report asserts that breastfeeding is one of the most cost-effective investments nations can make in the health of their youngest members and the future health of their economies and societies. The report estimates that India’s economy suffers a loss to the tune of $14 billion (about Rs 9,100 crore) on this account. Therefore, it is prudent for the Union and state governments to effectively implement the schemes and programmes like pmmvy and icds within the precincts of the rights perspective and guard against any riders of exclusion. It is believed that from six months onwards, the child needs complementary food in addition to breastfeed to meet their increased nutritional requirement. In India, only 42.7 per cent infants receive complementary food during the age of six to eight months. It means that 57 per cent children grow with hunger! RSOC 2013-14 data shows that only 30.1 per cent of infants receive complementary food along with breastfeed in Rajasthan. The figures are 30.7 per cent in Bihar, 32.6 per cent in Uttar Pradesh, 38.1 per cent in Madhya Pradesh, 49.4 per cent in Gujarat and 67.5 per cent in Tamil Nadu. Worse, only 8.7 per cent of the children in the age group of six months to two years receive appropriate complementary food. To meet the nutritional needs, a child’s diet should include grains, roots, tubes, legumes, nuts, dairy products, flesh foods, eggs, vitamin A rich fruits and vegetables. The figures stand at 5.3 per cent for Uttar Pradesh, 3.4 per cent for Rajasthan, 5.7 per cent for Punjab, 5.3 per cent for Maharashtra, 6.9 per cent for Madhya Pradesh, 7.2 per cent for Jharkhand, 5.8 per cent for Gujarat, 4.8 per cent for Delhi and 7.3 per cent for Bihar. RSOC 2013-14 shows that only 49.2 per cent children under three and 44.2 per cent children between three to six years of age receive supplementary nutrition, required to keepup with their growth. Small wonder, 58.4 per cent of children (6-59 months) in the country suffer from anaemia, which reflects continued malnutrition. Jharkhand tops the list with 69.9 per cent anaemic children, and is followed by Madhya Pradesh, home to 68.5 per cent anaemic children, and Bihar with 63.5 per cent anaemic children, shows the nfhs-4 report. Chronic undernutrition during this most critical period of growth and development also results in stunting, or low-height-for-age. And 38.4 per cent children in the country are stunted. Bihar leads the tally with 48.3 per cent followed by Uttar Pradesh with 46.3 percent, Jharkhand with 45.3 percent and Madhya Pradesh with 42 percent. It is necessary that the newborn undergoes appropriate health checkup immediately after birth. nfhs-4 data shows that only 24.3 per cent infants in the country receive health checkup within two days of birth. In Bihar, it is done only for 10.8 per cent infants. The figure stands at 34.2 per cent for Chhattisgarh, 15.8 per cent for Gujarat, 21.7 per cent for Jharkhand, 17.5 per cent for Madhya Pradesh, 30.5 per cent for Maharashtra, 22.6 per cent for Rajasthan, 24.4 per cent for Uttar Pradesh and 26.7 per cent for West Bengal. Those born at home remain entirely outside the net of medical protection; only 2.5 per cent of them receive health checkup by a doctor or nurse. Immunisation is another way to protect children against diseases and thereby ensure their survival. Immunisation uses the body’s natural defence mechanism to build resistance to an infectious disease. It also prevents the spread of infections. But going by the nfhs-4 data, only 62 per cent of children receive adequate immunisation. The proportion is worryingly poor in several states. Only 51.1 per cent of children receive vaccines in Uttar Pradesh, 53.6 per cent in Madhya Pradesh, 56.3 per cent in Maharashtra, 54.8 per cent in Rajasthan, 61.9 per cent in Jharkhand, 50.4 per cent in Gujarat and 61.7 per cent in Bihar—now, do the math! Essentially, the crisis is because of factors, including livelihood, access to natural resources, socio-economic equality, violence, food security and cultural practices. Therefore, we need to examine the issue in the context of social practices by looking deeper into the realm of social policy; ensure stronger integration of health programmes with nutrition programme, and scrupulously address the tenets of interventions under the 1000 Days Cycle. Let’s ensure all these to guarantee the survival of all children born in the country.